Dynamic track, thrilling, forceful, suitable for images of beginnings, modern track, cool, for thriller and crime, sequenzer, fat bass and beat, orchestra, big percussion. 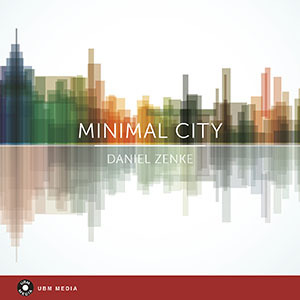 Melancholic, slow piano with solo strings, cello, airy pads, suitable for contemplative images. Gentle track with piano, house beat, orchestral elements. Suitable for urban images. Thoughtful, calm piano, rhodes, electric-bass. Suitable for images of urban evening atmosphere, portraits, biographic documentations. Forceful, motivating, piano loops, reverse pianos, house beat. Suitable for broadcasts on the club scene in European cities. Soundtrack for a big city. Suitable for images of quickly passing lights, bars and clubs. With piano, chilled drum beat, electric bass. Fast track with funky piano tunes reminiscent of a James Bond track of the 70's with beatdisco. Slows, melancholic piano, suitable for images of someone sitting at the kitchen table waiting on a friend. With piano, airy pads, deep bass and brass, strings, pulse. Deep pads and piano effects join into this gloomy, threatening, creepy sound, suitable for horror, thriller. With sound textures. This track creates a dynamic sound. Loopable, motivating, urban. With synthetic groove, orchestral, house beat. Modern and melancholic, suitable for art and architecture, human portraits. With high electric bass, piano melody, strings, deep groove. Dynamic track with moody piano, neo chilled, warm, jazzy elements, pulsating, suitable for images of after hour traffic. Optimistic, soundtrack for images of success with piano, e- guitars, strings, big percussion. Suitable for human portaits, company presentations, advertisments, success, spacy, modern architecture, elegant flats, dynamic and modern lifestyle. Urban, cool, jazzy track with funky elements, cool beat, funky electric - bass and piano jazz solo. Tension provoking piano, suspense atmosphere, mysterious crime textures, piano fills, loopable, bass like a heart beat, dangerous, but elegant. This soundtrack is suitable for a huge, Kafkaesque machine. Gloomy, menacing, unstoppable. With deep low drums and cluster strings, drone, piano effects. Melancholic, sad and thoughtful track. Suitable for serious topics, feeling of loneliness, melancholic flashbacks on strokes of fate. With piano and strings. Piano fills and trap beat create an atmosphere of the bustle of data and fast developments. Suitable for documentations on the development of Social Media, IT and fast-growing business in Silicon Valley. Pleasant lounge atmosphere, double bass, piano, big built up with orchestra, suitable for serious and intellectual broadcasts. Track convey the loneliness of the individuals in densely populated urban areas. With lonely piano, guitar and bass spring lick, beat, claps, tremolo guitar.